Drama was Waterford’s middle name and I couldn’t wait to go. A growing multinational workforce and a rising number of visitors have made Dublin an increasingly busy European capital. Even myself who has been living in the “Fair City” for years can feel overwhelmed at times. Thankfully for those of us seeking quieter horizons, lesser known Irish cities have worked hard to bring their cultural heritage to the forefront of the tourism industry. 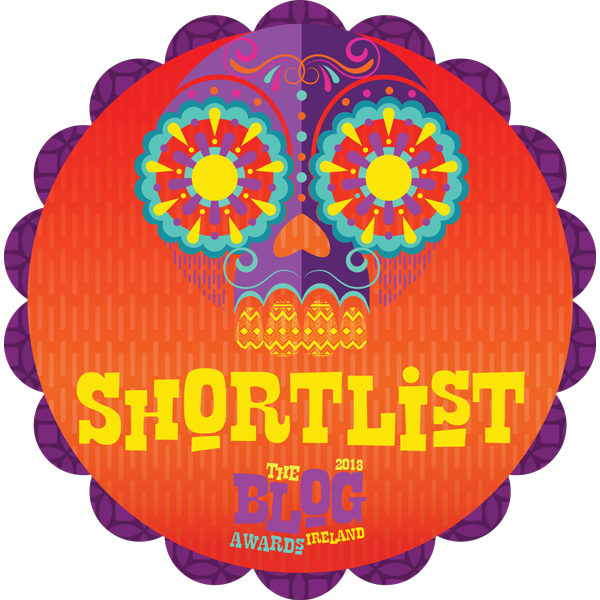 Waterford is one of them. Known as Ireland’s oldest city, Waterford has a rich past and heritage to explore. 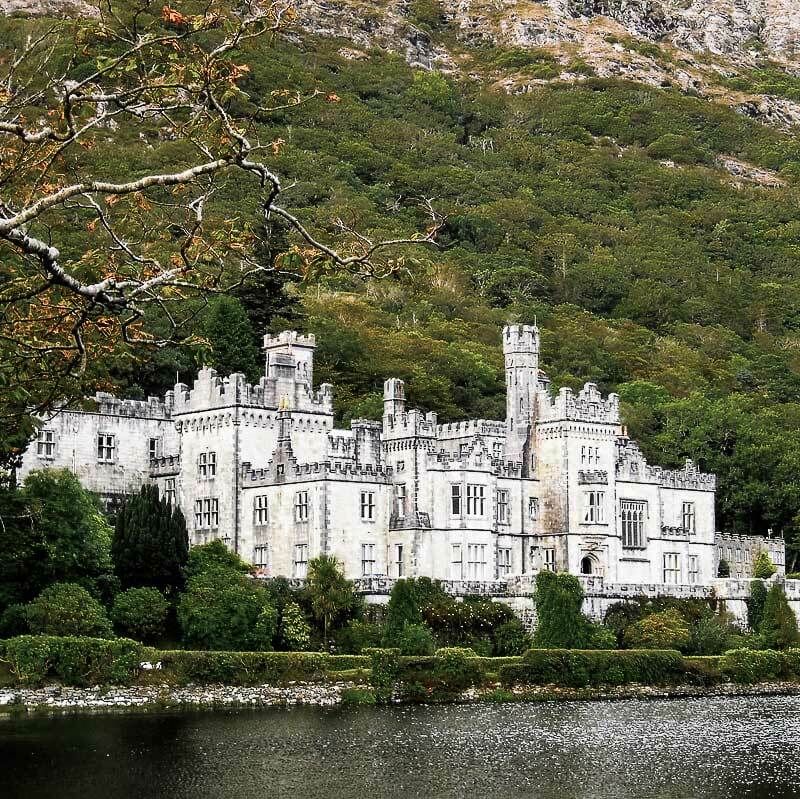 Located just a little more than 2 hours outside Dublin, this city makes for a great weekend escape from the hussle and bussle of the Irish capital. Here is my list of essential things to do in Waterford. My pre-trip research unveiled that Waterford claimed to be Ireland’s oldest city, older than all north European capitals except for London and Paris, and was proudly promoting its Viking history. 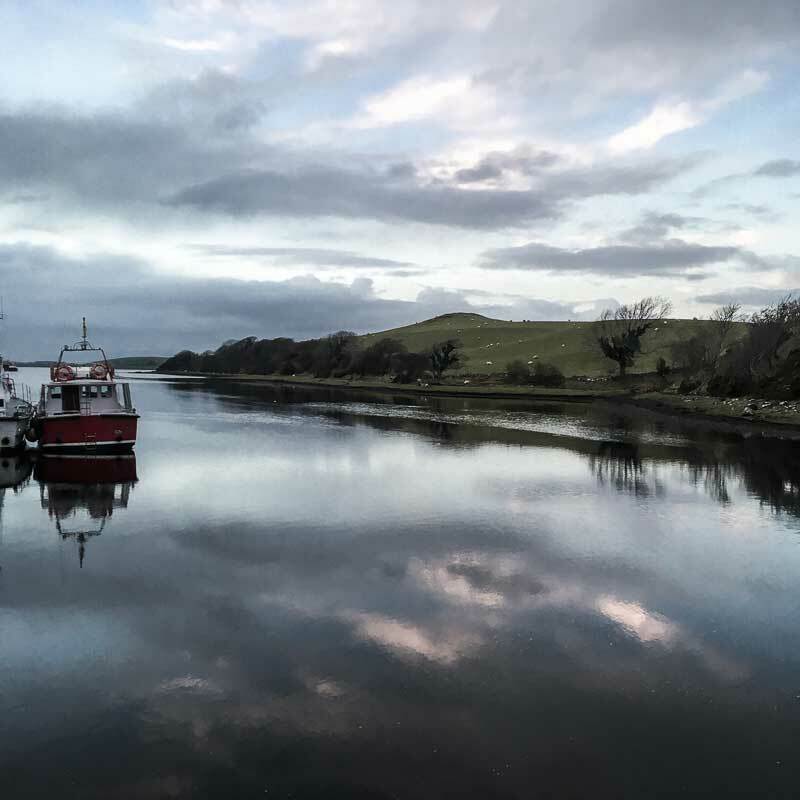 Its foundation dates back to 914 when the Vikings established a settlement at the mouth of three rivers: the River Nore, the River Suir and the River Barrow. A very strategic location that could be easily defended and positioned the city on the trade routes between the North and the South of Europe. Its name “Waterford” came from Old Norse “Vadrarfjordr” meaning “Fjord of the rams”. A first-timer in the Viking city, I was compelled to walk along Waterford’s long - very looong - Quay where pubs, restaurants, cafes, hotels and diverse shops competed for a view over Waterford’s harbour. At the end of the Quay Reginald’s Tower suddenly appeared to me; a fat, sturdy round tower, the city’s landmark monument and Ireland’s oldest civic building. I repeat: Ireland’s OLDEST civic building (everybody should now have a sense of how OLD this place is!) with 800 years of uninterrupted use. At the time of my visit the tower was housing an exhibition on Viking Waterford. As I was about to enter the tower I noticed a plaque above the narrow entrance. The tower was named after Reginald the Dane, one of the Viking rulers of Waterford. The Dane! Maybe I had been watching too many period series on Netflix lately, but the name sent a thrill up my spine as scenes of merciless beheading and bloodbaths came back to me in a flash. No smelly, bloodthirsty, axe-wielding warriors inside though. Just a smiling member of staff that I suspected might be doing lunges when the place was free of tourists to keep warm inside these windowless 10 feet wide walls. She advised to start the visit from the top floor and make my way down for a better experience. Reaching the top floor, I sat in front of a short video recounting the history of the place. The first tower had been built by the Vikings after 914 at the apex of a triangular settlement now evocatively known as the Viking Triangle. The tower had been rebuilt in the 12th century by the Anglo Normans and was the focal point of the medieval defensive walls encircling the city. Various Viking artefacts were exhibited on the different floors of the tower. Who knew the Vikings used dog collars! As discovered in Reginald’s Tower, the Vikings were not just savages with questionable hair styles and a love for strong drinks. They were skilled craftsmen and versed tradesmen who had intermarried with the local population. So I felt slightly sorry to learn that in the 12th century they had been booted out of their flourishing Waterford by the King of Leinster, Diarmuid McMurrough. 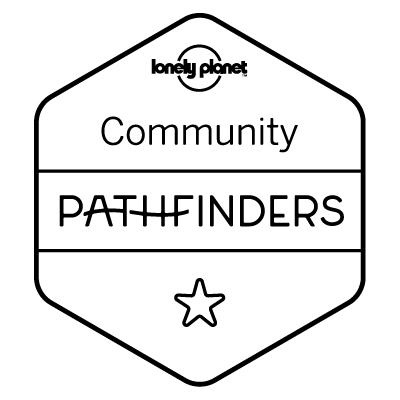 Tip: A great way to start your visit as you learn about the very foundation of the city. 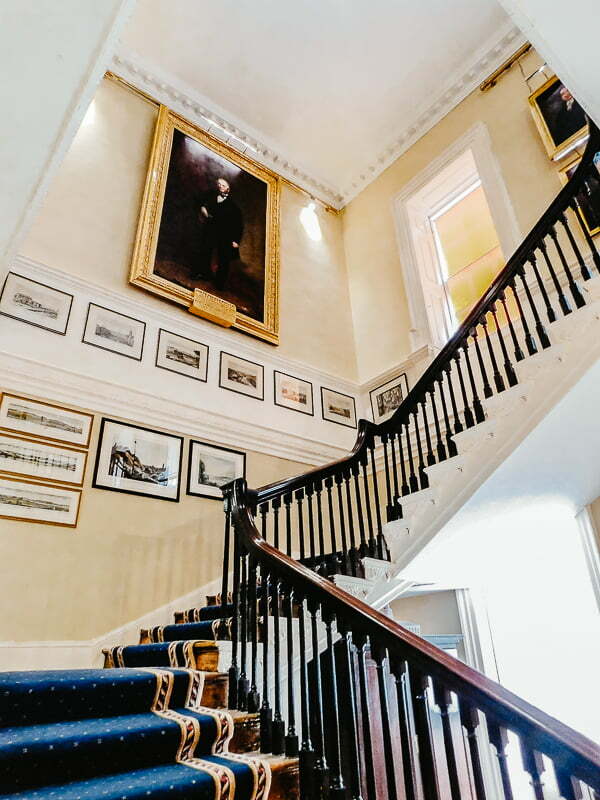 Just around the corner from Reginald’s Tower, squeezed between the Theatre Royal and Christ Church Cathedral (which is the size of a church…), Waterford’s award winning Medieval Museum was dedicated to showcase a new period in the city’s history. 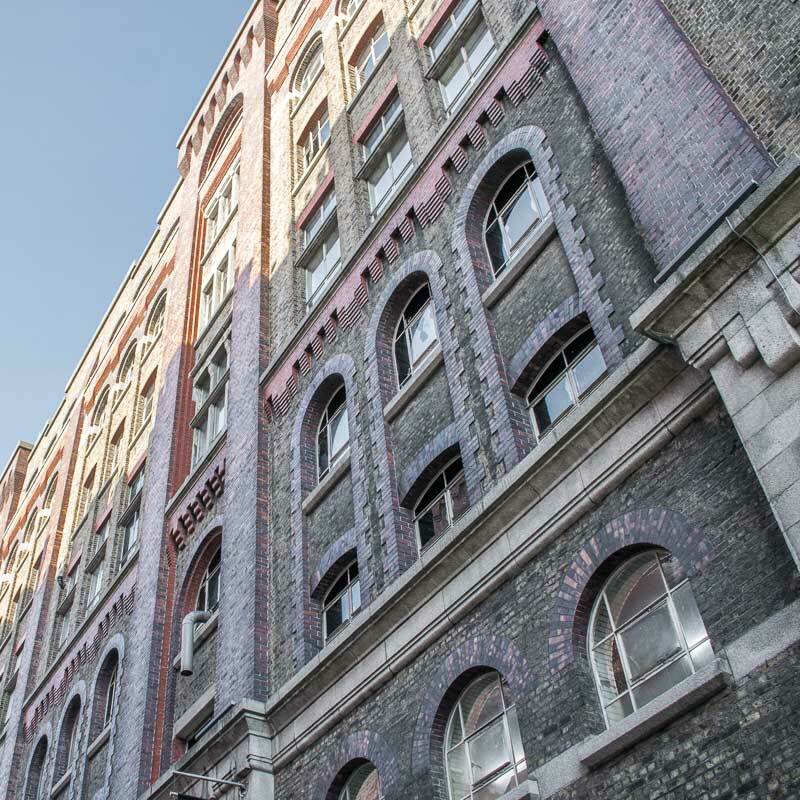 It certainly stood out with its stunning soft yellow curved facade. Instead of roaming clueless in the Museum, I chose to take advantage of the guided tour on offer. Medieval Waterford was quite different from Viking Waterford as our guide Richard (his real name, he was great fun) was about to expertly explain and show his small but international (!) group of visitors. Richard described key events of Waterford’s history and endeavoured to evoke a vivid sense of who the people living in Medieval Waterford were while guiding our eyes to unique artefacts. The Vikings - then still considered outsiders - were driven out of the city by McMurrough with the help of Henry II King of England and his Anglo-Norman army, triggering the most important upheaval in Irish history: the Anglo-Norman invasion (I loved the drama of that place!). Waterford would forever be remembered as the place where Ireland’s destiny was sealed. It was here in the cathedral that the commander of the Anglo-Norman army, Richard de Clare, commonly known as Strongbow, married in 1170 the King of Leinster’s daughter, Princess Aoife, after his army had conquered Waterford. Strongbow married Aoife neither out of true love nor for her Celtic beauty. She was just the price tag for Strongbow’s help. So un-romantic! Thanks to his marriage into Irish nobility, Strongbow was to control a fifth of Ireland’s territory, offering a firm foothold on the Emerald Isle for the Kings and Queens of England to come. Declared a Royal City in 1171 Waterford became fiercely loyal to the English crown. The English connection was very much visible in the Museum. Among its most precious artefacts was the colourful four meter long Great Charter Roll, made in Waterford in 1373 depicting the kings of England. I will always remember the magnificent fairytale-like shiny bearing sword and the Cap of Maintenance both offered by King Henry VIII (6 marriages, Anne Boleyn losing her head; that rings a bell?) to the Mayor of Waterford in 1536. 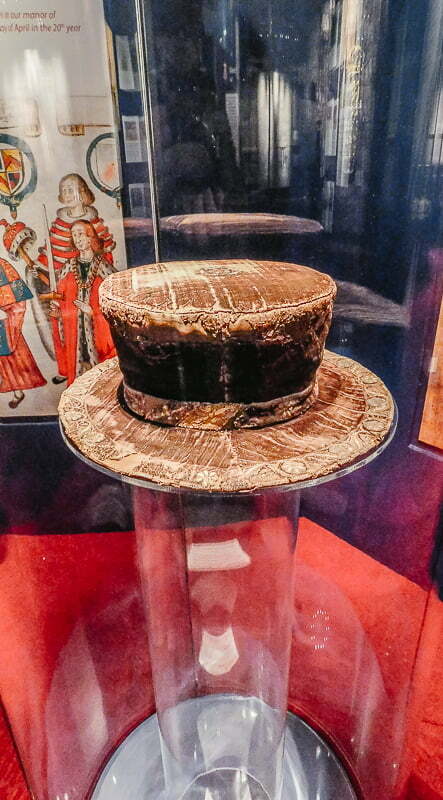 The luxurious hat made of red Italian velvet is the only piece of the King’s wardrobe to survive to this day. Blame Cromwell and his fanatical spring cleaning. Following the Irish Rebellion of 1641, Oliver Cromwell was sent to Ireland by the English Parliament to regain control over the island. He besieged Waterford in 1649-50 but the city, unlike the rest of Ireland, didn’t fall. A Catholic city under threat, Waterford buried its most sacred treasure in 1650 under the floor of its medieval cathedral. The city could not resist a second siege 9 months later but Waterford’s treasure was not found. Buried for 123 years and rediscovered when the cathedral was being demolished, one of the greatest treasures of late medieval Europe became Waterford’s Medieval Museum’s proudest centrepiece: the Waterford cloth-of-gold vestments, the only full set of medieval vestments to survive in Northern Europe. The 15th century vestments, made of Italian silk of Florence and embroidered in Bruges with Bible-inspired designs, was exhibited in a dim room with just enough light to make them glow. The experience was quite mystical. Tip: Don’t miss the guided tour (included in your ticket), the tour guide was great fun and he knows his stuff! Back outside the Museum, the most elegant building of the whole city was standing barely 50 meters away from me. The Bishop’s Palace was an 18th century townhouse built for the Anglican bishop that let the visitor get a taste of Georgian Waterford. As I contemplated the entire facade of classic and well-proportioned dimensions from the bottom of the stairs, I couldn’t ignore a sense of deja-vu. The tour guide was about to put an end to my perplexity. The architect had also designed the well-known Leinster House in Dublin, a former ducal palace now home of the Irish Parliament. As I stepped inside I was transported to 18th century Ireland. The table in the luxurious Dining Room was set with the largest collection of Waterford Crystal in the world, while the oldest surviving piece of Waterford glass dating back to 1789 (the year of the French Revolution!) was under close camera surveillance. The pastel blue walls of the Withdrawing Room were adorned with sumptuous giltwood mirrors that any over-priced boutique hotel would kill to have above its reception desk. In the Music Room an antique concert harp also known as a pedal harp was hopelessly waiting for its next musician. My flag-waving self was taken with excitement when I came across in the Music Room a mourning cross that belonged to Laetitia Wyse Bonaparte, niece of the French Empereur. She had married a rich Catholic man from Waterford and lived in the city for a while. The little black, elegant cross was the only remaining one of the 12 ordered by Napoleon’s mother on his death in 1821. Tip: You can access both the Medieval Museum and the Bishop’s Palace for 10€ with the combined admission ticket. 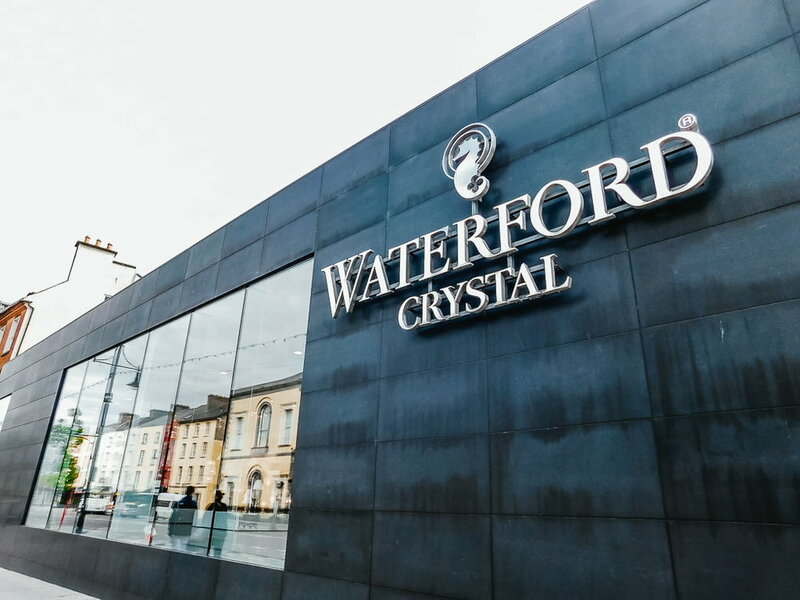 Just across from the Bishop’s Palace, a building the shape of a black box was housing the sparkling retail store of crystal manufacturer Waterford Crystal. Inside the light was reflecting so intensely on elegant carafes, decanters, Champagne flutes, chandeliers - and I could go on - that I thought I could go blind any minute. The fear of leaving fingerprints all over the pricey crystal was enough to keep me at a safe distance. Waterford established its crystal tradition 200 years ago. As mentioned earlier, beautiful early examples of this extraordinary craftsmanship were exhibited in the Bishop’s Palace. I had been amazed the previous year by the magnificent chandeliers hanging in St Patrick’s Hall in Dublin Castle. They were also made of Waterford Crystal. The fun was to take a tour of the manufacturing facilities located just beside the retail store. Walking carefully between the yellow lines, a guide (and his microphone!) was leading the visitors through the different stages of creation. Right under our eyes vases and bowls were taking shape under the busy fingers of the expert craftsmen. The men (and women!) were not shy either and would engage in conversation with the visitors curious for more information about their art. Because this was ART. Five years of training to master the art of blowing. Years of apprenticeship to become an accomplished engraver. This was a career for life that required dedication. 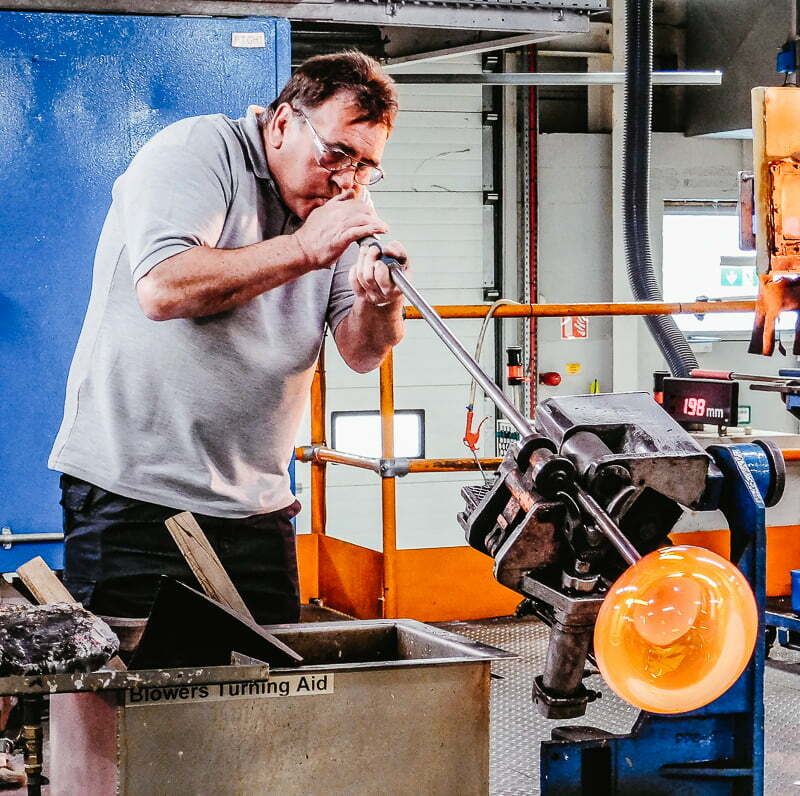 It is this very dedication that has led Waterford Crystal to international fame and the Ellen DeGeneres Show! One day as I was procrastinating in front of my screen (yes, it does happen), the popular TV host introduced to her overly excited audience the new award piece designed by Waterford Crystal that would be presented at the next Oscars. In her hands was the achievement of 200 years of Irish craftsmanship dedicated to produce only the best. Many of us have seen the famous crystal on TV in the shape of the 2016 New Year’s Eve ball in New York, in the hands of tennis players or music stars. But few of us know where these sparkling objects actually come from and the work and creativity that is put into them. Now I’m glad to say that next time I watch an award ceremony I’ll have a thought about Waterford and its craftsmen at work. Tip: Don’t be afraid to ask questions to the staff during the tour. And don’t drop anything! Waterford City in Co. Waterford is located on the Southeast coast of Ireland, a 2 1/2 hour bus journey from Dublin. Bus Eireann, Ireland’s national bus company, suffering from recurring hiccups (as a traveler the word “strike” always sends my blood pressure sky-high so I prefer using the less tragic-sounding “hiccups” instead), I opted for the more reliable train service. Embark from Dublin Heuston, a 19th century train station on the south side of the river Liffey for a smooth (hopefully) 2 hour journey to Waterford. The train station in Waterford is conveniently located at a 10-15 stroll from the city centre. Hotels are mainly located along the Quay, at a walking distance from the main attractions and restaurants. That’s for the positive note. However they are not many and not always cheap. Plan ahead and do your research, you might find a deal (I did! ).